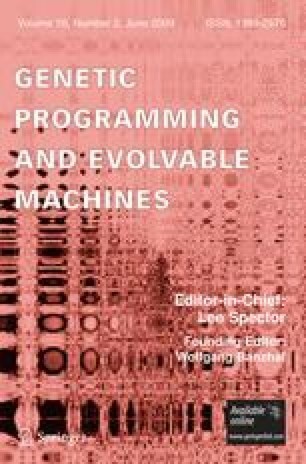 A perceived limitation of evolutionary art and design algorithms is that they rely on human intervention; the artist selects the most aesthetically pleasing variants of one generation to produce the next. This paper discusses how computer generated art and design can become more creatively human-like with respect to both process and outcome. As an example of a step in this direction, we present an algorithm that overcomes the above limitation by employing an automatic fitness function. The goal is to evolve abstract portraits of Darwin, using our 2nd generation fitness function which rewards genomes that not just produce a likeness of Darwin but exhibit certain strategies characteristic of human artists. We note that in human creativity, change is less choosing amongst randomly generated variants and more capitalizing on the associative structure of a conceptual network to hone in on a vision. We discuss how to achieve this fluidity algorithmically. We would like to thank Laurence Ashmore, Peter Bentley, Julian Miller, and James Walker for their correspondence, as well as Ashmore and Miller for their initial Java-based system that we adapted for our creative experiments. This research partially supported by SSHRC (Gabora) and NSERC (DiPaola) Canada.